Louise Meriwether Harriet Jacobs in her narrative reveals how she refused to be victimized within her own mind, but rather chose to act instead from a steadfast conviction of her own worth....Hers is an example worth emulating even in these modern times. 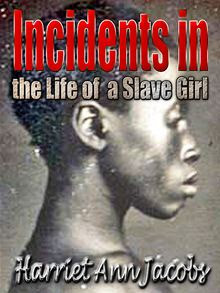 Published in 1861, this was one of the first personal narratives by a slave and one of the few written by a woman. Jacobs (1813-1897) was a slave in North Carolina and suffered terribly, along with her family, at the hands of a ruthless owner. She made several failed attempts to escape before successfully making her way to freedom in the North, though it took years of hiding and slow progress. Eventually, she was reunited with her children. This is a gripping story of a bygone era. Jacobs writes in excellent English (with the help of Maria Child, an abolitionist) and makes you feel you are living through her ordeal together with her. I have learned a few bizzare things through this book. The Fugitive Slave Law of 1850 allowed slave owners to track down their slaves even in the "free" northern states. A slave could "buy him/herself" from his/her owner to gain freedom! I always knew money could buy (almost) everything, but it never occurred to me someone might need to buy oneself. It was also interesting for me to see how attitudes of slave owners to their "property" could vary so significantly. Some treated slaves as part of the family. Most however cared for them as you would care for a dog: you feed them and call a doctor if needed, even go to the same Church, but never consider them humans.